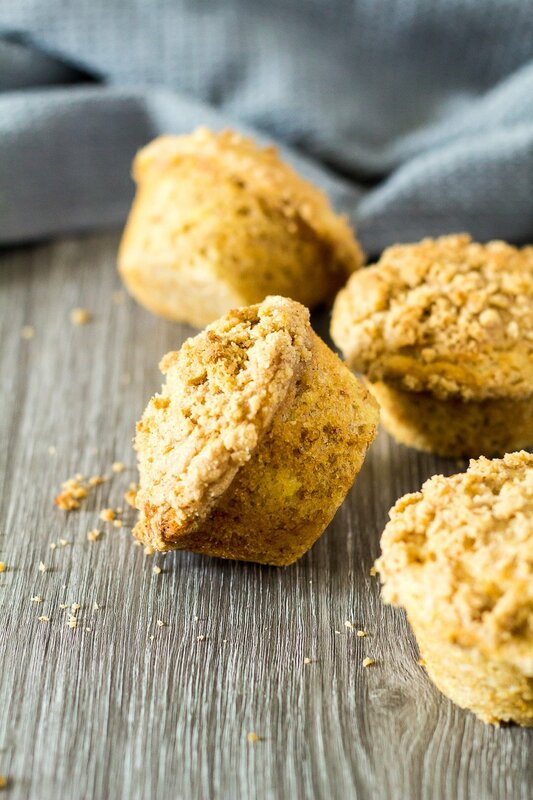 Banana Crumb Muffins – Deliciously moist and fluffy cinnamon-spiced muffins that are loaded with banana flavour, and topped with a buttery crumb. Perfect for an indulgent breakfast or snack! I’m a big fan of a warm muffin or two for breakfast, or for an on-the-go snack. If you’re like me, then you’ll love today’s recipe! 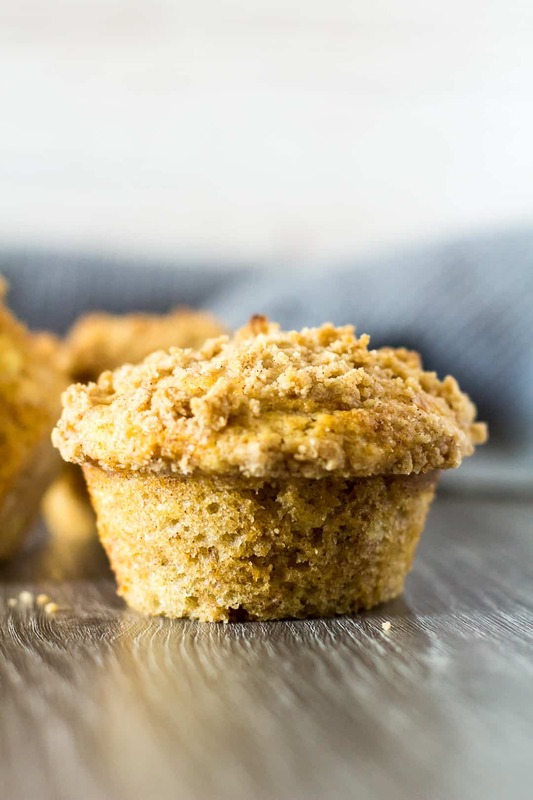 I bring you these Banana Crumb Muffins – A moist and fluffy banana muffin recipe that is perfectly spiced with cinnamon and nutmeg, and topped with a buttery crumb. 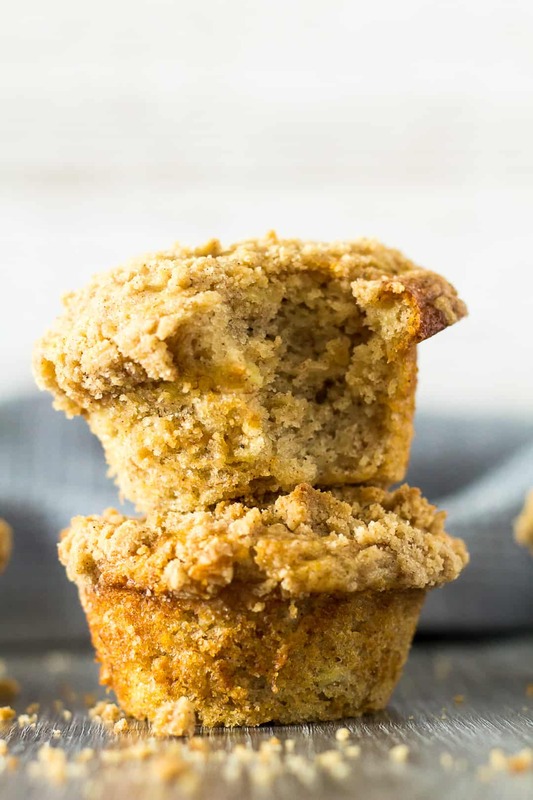 To make these banana muffins, simply whisk together the dry ingredients in one bowl, and the wet ingredients in another. Add the dry ingredients to the wet, and mix until just combined. For the crumb topping, whisk together the flour, sugar, and cinnamon. Add the butter, and work it in until the mixture resembles coarse crumbs. Spoon the muffin batter into a greased muffin pan (or use muffin cases! ), and top with the crumb mixture. Bake for 15 – 20 minutes, or until a toothpick inserted into the centre comes out clean. Enjoy warm with a cup of tea or coffee, or let them cool completely and store. full of incredible flavours – banana, cinnamon, and nutmeg! If storing these muffins, keep them in an airtight container at room temperature for up to 5 days. These also freeze well for up to 2 months! Before eating, I like to warm mine up in the microwave for a few seconds. Mmmmm. Try these delicious muffin recipes next! 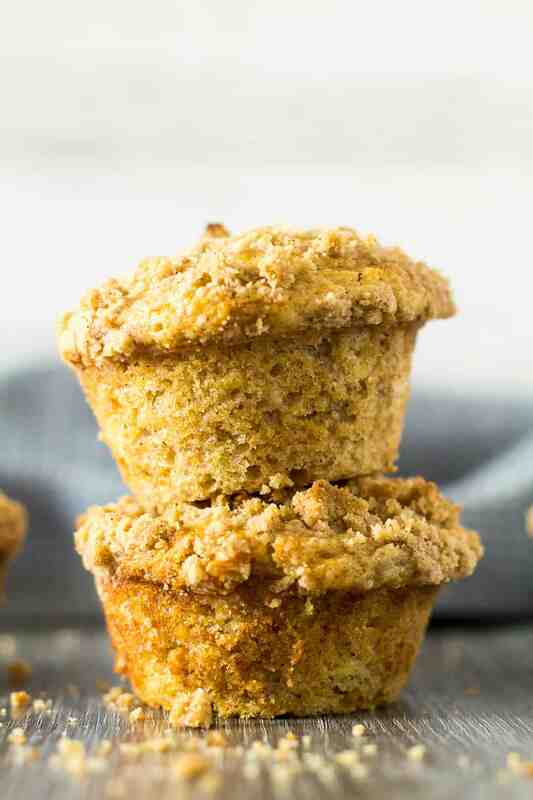 Deliciously moist and fluffy cinnamon-spiced muffins that are loaded with banana flavour, and topped with a buttery crumb. Perfect for an indulgent breakfast or snack! Preheat the oven to 200C/400F/Gas 6. Grease a 12-hole muffin pan well, then set aside. Whisk together the flour, sugar, baking powder, baking soda, salt, and spices. Set aside. Whisk together the egg, banana, vanilla, vegetable oil, and yogurt. Add the dry ingredients, and mix until just combined. Do not over-mix. In a small bowl, whisk together the flour, sugar, and cinnamon. 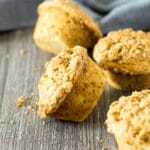 Work in the butter using a pastry cutter, fork, or fingers until the mixture resembles coarse crumbs. Spoon the batter into the prepared pan, top with the crumb mixture, and bake for 15 - 20 minutes, or until a toothpick inserted into the centre comes out clean. Allow to cool for 5 - 10 minutes in the pan, then transfer them to a wire rack to cool completely. Muffins stay fresh in an air-tight container at room temperature for up to 5 days. They also freeze well for up to 2 months. Thaw overnight in the fridge. I think my kids would absolutely adore these as would I especially with the nutmeg and cinnamon. Banana muffins are my favorite! I think I’m going to whip up a batch for breakfast this morning! Yum! I love a good crumb muffin! When you say a cup of greek yogurt do mean a cup using a liquid measing cup?